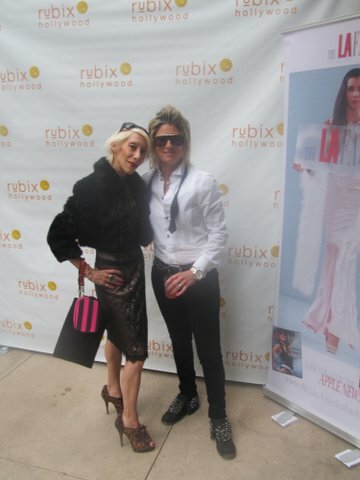 A few nights ago I attended LA Fashion Weekend’s Wrap Party held at Rubix Hollywood. Yes, I know it’s been a few months since the FW12 shows but Mikey Koffman is a busy gal and she and her crew at The Gallery LA have a lot going on. And, to be honest, it’s never too late to show your appreciation. Rubix Hollywood is a luxurious living space with a gym, pool, business center, and concierge service. There’s also an Urban bar and lounge area, complete with a pool table, that is a perfect location for a party. Since it was a Thursday night and most guests came from work the lovely make-up artists from Napoleon Perdis were on site to provide partygoers with touch ups. Drinks were courtesy of Little Black Dress Vodka. The special of the night was The Mikey, which was a delicious concoction of LBD Vodka, Chambord, and Lemonade. I’m not sure who the DJs were, but they were on fire – playing one hot tune after another. Attendees couldn’t help but get their groove on the minute they walked in the door. 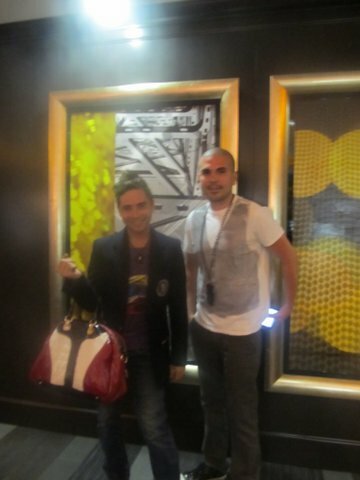 There were a lot of familiar faces in the house, one being Michael Kuluva (designer for Tumbler and Tipsy). I just love him and want to be his BFF for a weekend so I can experience what a day in the life of Michael is like. Of course everyone was dressed to impress. It’s safe to say that if Mikey’s throwing a party you’re guaranteed to have a good time. Be sure to mark your calendars for L.A. Fashion Weekends’ SS13 Shows to be held at Sunset Gower Studios October 19th – 21st .